This rigid one-piece motor coupling version is clamped on the shafts with the included two M3 hex key bolts with hex key size 2.5mm. Suitable for 5mm to 5mm shafts. The rigid one-piece motor coupling is the best solution for direct torque transmission of the power from one end to the other. There is almost no windup and the most precise coupling available. This is the next best thing other than welding the 2 shafts together. Highly usable when connecting 2 shafts with push-pull forces. 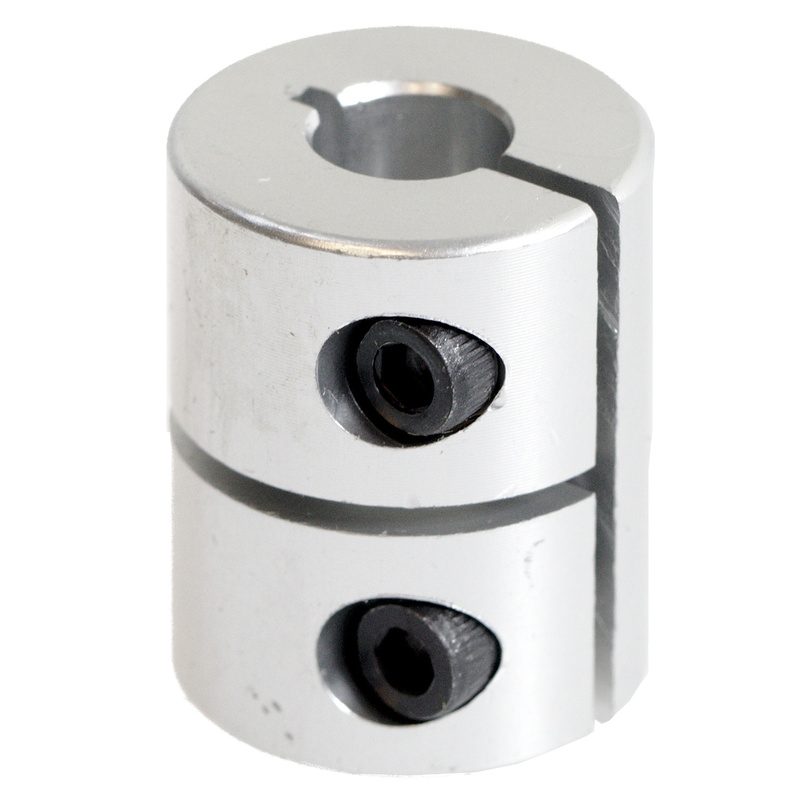 This type of coupling does not allow for any misalignment in the shafts.